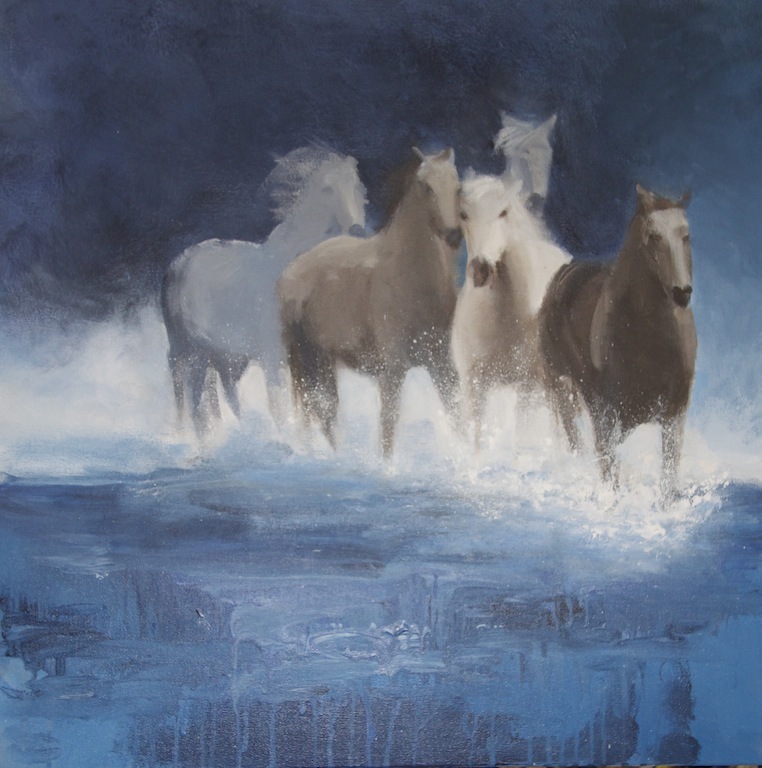 I conceptualised this work as a close up element of my last horse painting. It was to be three horses bursting out of the canvas. 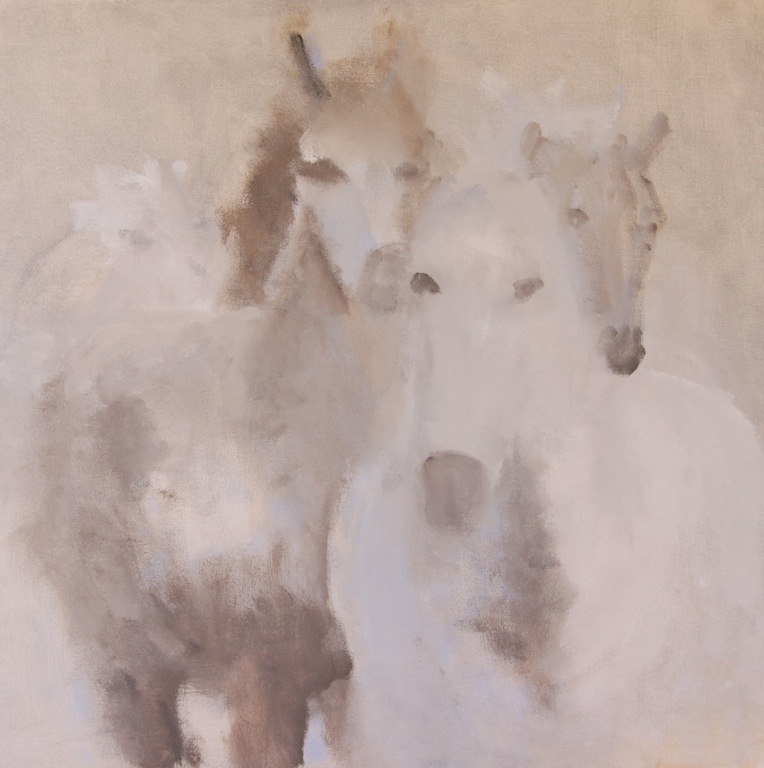 But the white mare – for she is surely a mare in foal – looked so gentle and serene that I abandoned the original concept. She dictated a change in direction and a slowing of pace. Instead of coming at speed, slightly angled as if about to turn away, she comes with and inquisitive, beckoning look. She wants to meet the viewer not veer away. The third horse coming from behind disappeared out of the composition altogether, and the second horse became a static stylized element in the background. The mare is the ‘star’. Each time I look at this painting, I just want to hold my hand out to her, give her an apple, and rub her neck. Who knows if, or when, I’ll do the other painting.